This is perfect for a home studio that does not have a vocal booth. 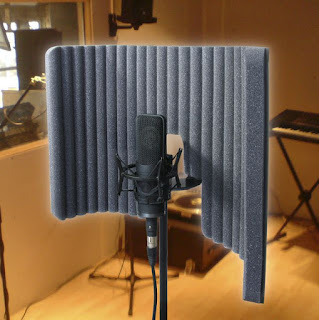 This will mount right on your mic stand and keep room reflections from your vocals to a minimum. It is very lightweight and affordable so take advantage and make your vocal recording sound as clean as possible. It retails for around $100. For more info visit Primacoustic here.